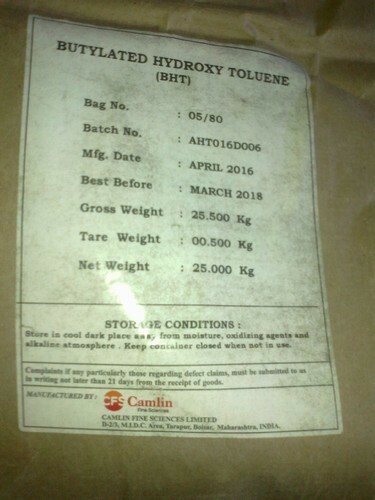 Using the best quality chemical compounds, we are successfully supplying a wide gamut of Butylated Hydroxytoluene B.H.T. The offered additives are stringently examined under the supervision of our skilled professionals against the exquisite parameters of quality to ensure their quality attributes at clients’ end. In addition to this, these are highly demanded in the food industry to extend the shelf life of edible items.